My husband Josh and I are training for our first 100K ultramarathon! I’m so excited about this, and of course we’ve been running on trails every weekend this fall with our dog Remy regardless of weather. 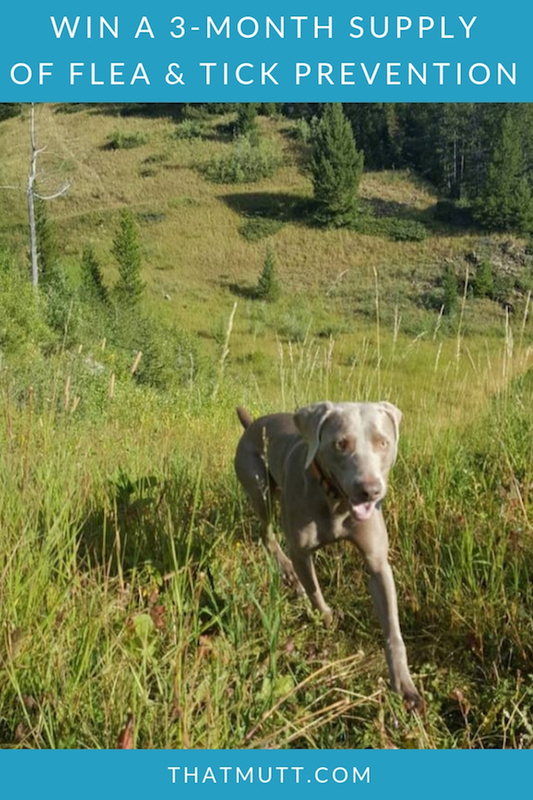 The fall temperatures in Montana are usually cool enough so Remy is able to tag along on 16-mile runs. 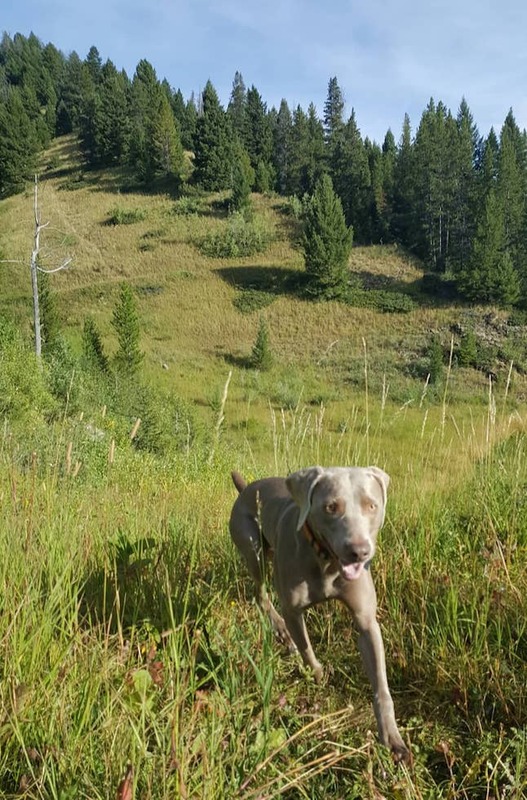 We can let him run off leash for hours, and one of my favorite things is seeing him bounding ahead, just being a weimaraner. Because we do so much trail running with our dog, I need to make sure he’s protected from fleas, ticks and mosquitoes. I thought now would be a good time to remind you to ask yourself whether or not your dog needs protection in the fall and winter months. Obviously, so much depends on where you live, the temperatures and what you and your dog do outside. Vectra® 3D is giving away a 3-month supply (3 doses) of flea and tick prevention to two lucky readers of That Mutt! To enter, just leave a comment at the end of this post. Does my dog need flea & tick prevention in the winter? That particular year – is it cooler or warmer than normal? What kind of pests “thrive” in your area normally? Will you be boarding your dog or traveling with your dog? 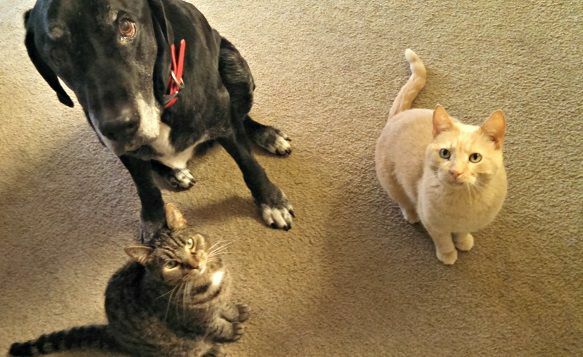 I’ve lived in three different states with my pets (North Dakota, southern California and Montana) and each area has been significantly different. When my pets and I lived in North Dakota I really didn’t worry about protecting them from fleas and ticks in the winter. This is because it could literally remain below zero for an entire month at a time! When we moved to San Diego, I had no idea fleas would be such an issue in December and did not put flea prevention on my dog or cats. Well, let’s just say all three of my pets had fleas that winter. Yes, even my indoor cats! Sorry, guys! That’s just a reminder that when you move to a new region you should think about what kind of parasite protection your pets might need due to different types of weather and what kind of “pests” thrive in that area. Like I said, I typically did not need to worry about fleas and ticks for my dog Ace when we lived in North Dakota. I just never saw them … until we had a strangely mild winter around 2012 where it barely froze and we had no snow. Well, that spring I saw quite a few ticks on my dog (and on myself!) for the first time ever, even though our activities had not changed. It’s because the winter that year had not been as cold as normal. 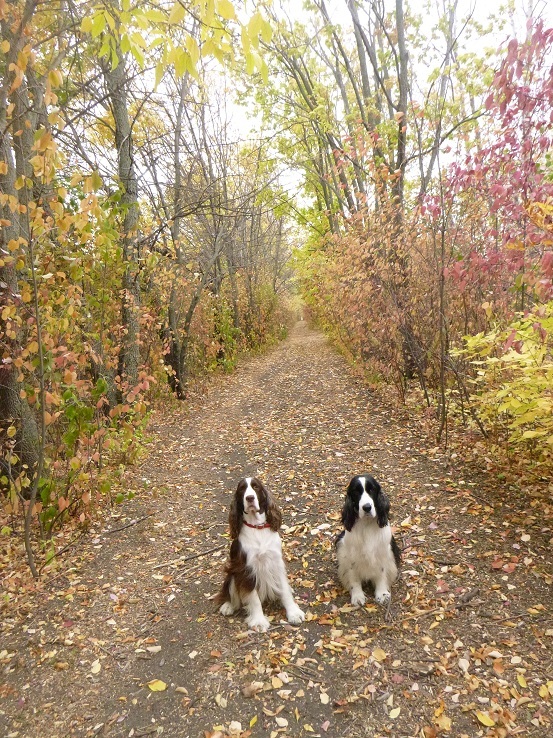 Two of my dog walking clients in Fargo, N.D.
What kind of “pests” thrive in your area? If you’ve recently moved to a new area, a local vet will be able to tell you whether or not fleas, ticks and heartworm are a concern for your immediate area year-round. Plus, you could always get a second opinion from another vet. I would ask other dog owners in your area what they recommend, particularly those who visit the same parks and hiking areas as you do. Your local animal shelter workers could share some insight too and so could local dog trainers. Now that my we live in Montana, the fleas and ticks shouldn’t be an issue for my dog in the cooler months. Some dog owners in this area stay on the safe side and put flea and tick prevention on their dogs all year. I choose to do so only from late spring through early fall. If you do decide your dog could benefit from flea prevention this fall and winter, one option to consider is Vectra® 3D for Dogs. 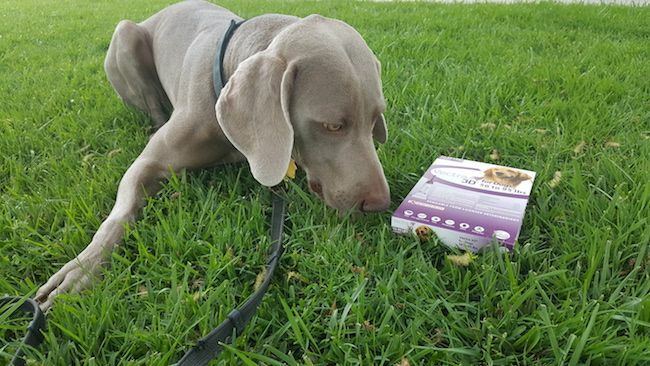 Vectra® 3D for Dogs is a monthly topical flea and tick control that kills and repels fleas, ticks and mosquitoes before they bite your dog. It also kills and repels biting flies and mites (excluding mange mites). This is the flea prevention product our vet recommended we use even when my dog Remy was an 8 week old puppy. If you will be traveling with your dog to a warmer climate over the holidays, that could also be a reason to continue flea prevention in the winter. The same is true if you plan to leave him at a boarding kennel or dog daycare at any location. Some boarding kennels and dog daycares will require all dogs to be on a topical flea prevention. My dog’s boarding kennel “requires” it but they do not ask for proof. The reasoning behind this makes sense. When traveling dogs from all over the country could be staying at your boarding facility, it’s very possible one of the dogs could have fleas and spread them to others. Vectra® 3D for Dogs is a monthly topical flea and tick control that kills and repels fleas, ticks and mosquitoes (carriers of heartworm) before they bite your dog. It also kills and repels biting flies and mites (excluding mange mites). Vectra® 3D for Dogs is available through PetSmart, Amazon and through veterinarians. Click here to learn more. Note: Do not use Vectra® 3D on cats. Ceva Animal Health makes a separate product for cats called Catego® for Cats. Giveaway! 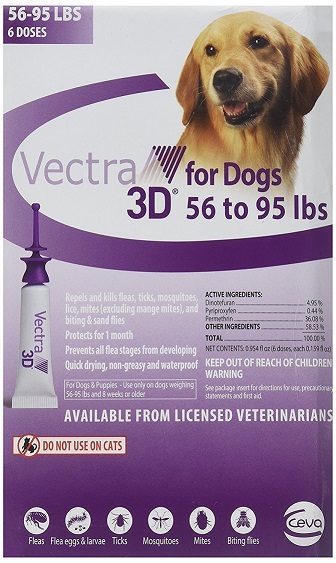 Win a 3-month supply of Vectra® 3D for your dog! 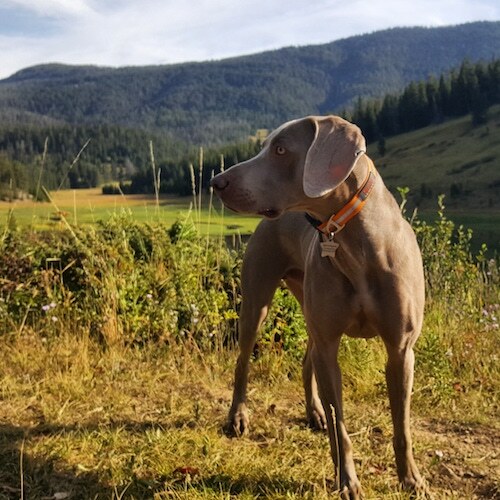 Update: Congrats to Sue C. and Lori N.
Vectra® 3D for Dogs is giving away a 3-month supply of flea and tick prevention to two lucky readers of That Mutt (one pet per winner). 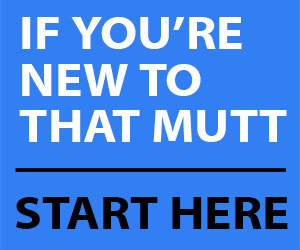 Start using it this fall or save it for the spring, up to you! To enter, just leave a comment so I know your dog wants IN on the drawing! Let me know, what is the flea and tick situation like in your area? Do you plan to use flea prevention all year? I’ll choose the two winners at random on Tuesday Nov. 20. I’ll notify the winners by email and announce them here on this post. By the way, Vectra® 3D comes in multiple size varieties. The picture shows the weight for dogs 56 to 95 pounds but there are options for smaller, medium and extra large dogs too. Learn more about Vectra® 3D here. Could your dog benefit from Vectra® 3D? I live in the North East, we have had a terrible bout of fleas this year. I have tried Flea shampoos and Frontline, they are not working. Need some help here!! We could sure use this – the girls are indoor babies but this year our building must be infested because the poor babies got fleas for the first time! I live in Georgia and yes…some winters are cold and some are so mild that ticks and fleas thrive all season. I live in a heavily tick populated area and this would be great to try! Our newly adopted dog is loving our backyard and going places. I want to keep her safe. Thank you for the all the help. This blog is great! This stuff works awesome!! I love it! I’m in Hickory NC and only need to worry about those nasty ticks from spring, April- September. I would love to win this awesome product! Not too warm this time of year. But may be traveling to a warmer area soon. So this is a must. Also for upcoming spring. We live in Oregon. Fleas NEVER take a holiday here! My two dogs and I hike a lot so protection is vital! I live in Southern California and this year was worse than ever and my GS is miserable tried a few things but so far nothing help. I would love to try it to see if this can help. We go to an off leash farm or the dog park almost every day and he now goes to daycare occasionally so fleas are a concern, luckily we don’t have ticks where we live. We live in South East. This year it is really horrible here. The flea torture is unbearable. We fight against them whole year long. I just rescued Meeko last week. Even though the shelter used Frontline Plus, he had fleas and, we found out, flea allergies. I live in Illinois and stop using flea protection in November and start March or April. with all of the deer in my yard, i get lots of the very small ticks, so hard to find, it would be great to have something that would repel them, because they are sometimes the size of a pin head. In Southern States flea problem bothers us even in winter… Thanks for your article, all your blog is a real treasure for all dog-lovers.